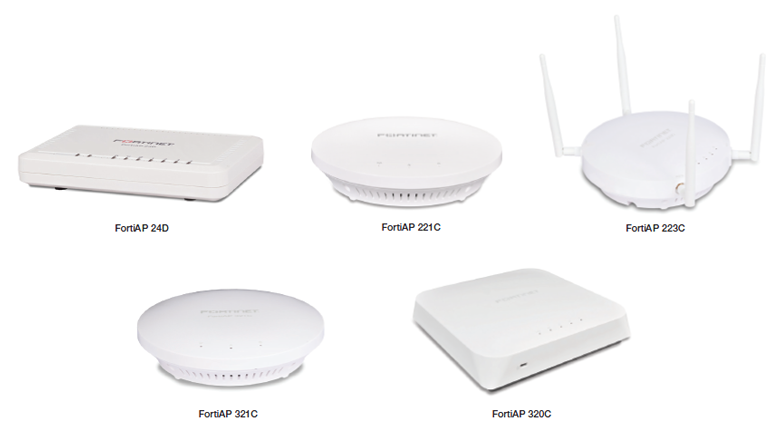 FortiAP indoor WLAN access points come in a range of form factors and performance profiles, with a model to suit any indoor enterprise wireless LAN deployment. Smoke detector style models provide a discreet look to prevent tampering. Other models are equipped with external antenna connectors, for use with directional or panel antennas, while the plenumrated models support the extended temperature range required for installation in ceilings. 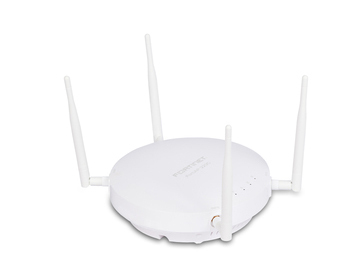 Supports latest 802.11ac technology with association rate of up to 1.3 Gbps. Rogue AP detection and mitigation to satisfy PCI DSS compliance. The FortiAP 24D is a cost-effective single Radio 802.11n AP, designed for non-mission critical applications in low density indoor environments like small branch offices. The integrated switch-ports allow you to connect additional wired devices directly to the AP, such as PCs or printers. The FortiAP 221C, FortiAP 223C and FortiAP 321C are dual-Radio 802.11ac APs, designed for medium density indoor environments, including hotspot and guest or social WiFi deployments. The smoke detector form factor of the FortiAP 221C and FortiAP 321C is perfect where discreet installation is required, like school classrooms and retail stores. The RP-SMA antenna connectors on the FortiAP 223C allow directional or panel antennas to be installed, providing a range of antenna options in environments with challenging coverage requirements. Both the FortiAP 221C and FortiAP 223C are also dual-Radio and dual-band devices, supporting simultaneous client connections and rogue AP scanning for PCI compliance. 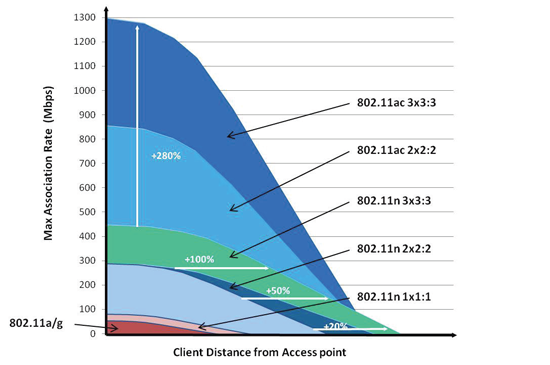 The FortiAP 320C is the highest performance dual-Radio 802.11ac AP, with client association rates of up to 1,300 Mbps. Leveraging powerful 3x3 MIMO technology and three spatial streams, this AP is designed for high density environments that need the highest level of data throughput possible. Designed with dual redundant PoE Ethernet ports to provide maximum resiliency, this AP is ideal for mission-critical environments such as hospitals and manufacturing facilities. The plenum-rated enclosure and extended temperature range also allows deployment above ceiling tiles in office environments or in non-temperature controlled warehouses. 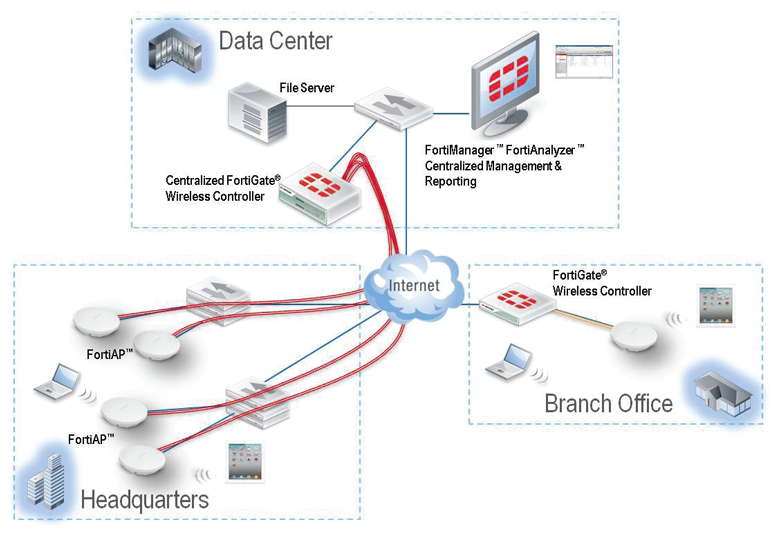 Download the Fortinet FortiAP Indoor Series Datasheet (PDF).